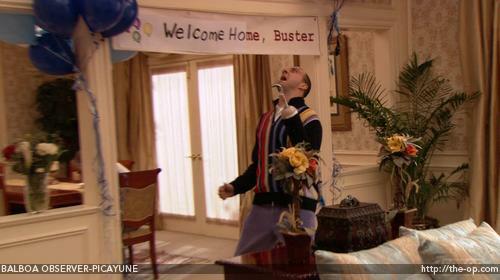 Not only could I not find a Moon poster, I didn't even get the "you're killing me, Buster" banner strung across the living room. But rest assured it is strung up in my heart. Happy Birthday, Resident Offspring! I honestly cannot imagine what my life would have been like, had you not been dragged kicking and screaming into this world nineteen years ago, nor would I even want to imagine it. You are the most important thing in my world. Let's see if we can stretch this celebration thing into a birthday fortnight, shall we? Happy Birthday, RO! Hope you have a great day celebrating, you! I forget the rest, but it's the East Side Mario's version. May you eat at a midpriced restaurant and have underpaid waitresses humiliate themselves at your expense. I think she made the most of the day, Al. Ha! That's exactly what happened, John, without the singing. Happy (belated) Birthday to the RO! Hopefully the snow had melted by the time the birthday candles came out. Ah well. Happy 19 Doppleganger offspring! There is nothing on this earth like a good mother's love. Happy birthday, RO. You are a lucky young woman to have the mom that you do. That's so sweet, Charlie, but it's me who is the lucky one! We still have some cake left, Beckeye, so it isn't all that belated. lovely words for your girl :o) She is as lucky as u are! We're a strange, but suited, pair, Jen.